Dr. B: "Wellbeing and success go hand in hand. I envision people going to work with a spring in their step, engaging together with energy and creativity and leaving feeling fulfilled, respected and appreciated. Leaders showing up at every level, bringing out the best in themselves and others. People at the heart of the business – human-centred organisations." 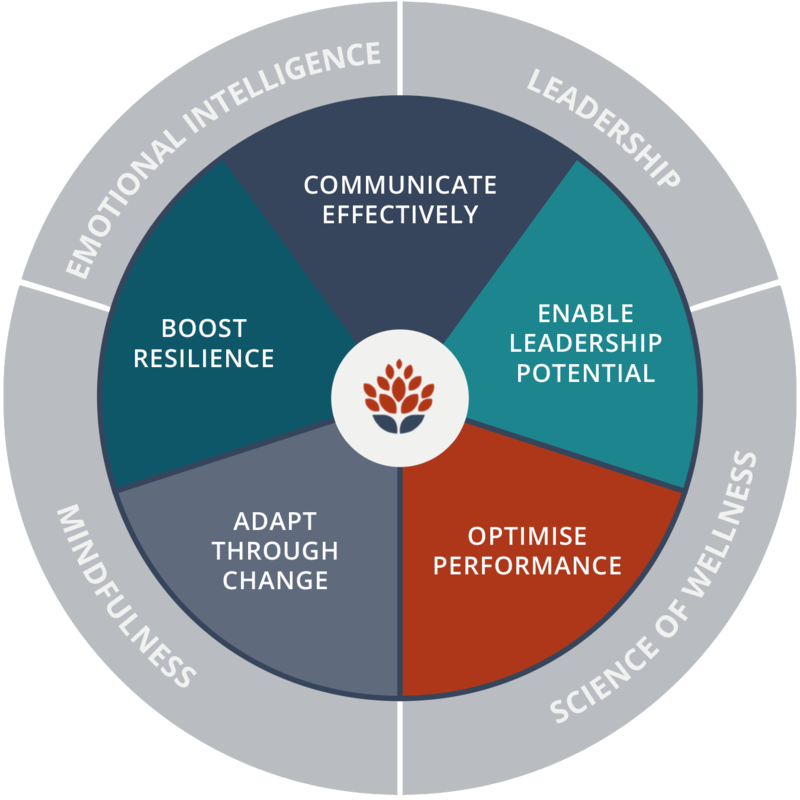 The principles of human-centredness create a culture where people thrive and accomplish in a workplace that is future fit, adaptive and innovative. That's the vision that lies at the heart of everything we do, the passion that you'll find in every corner of the MMM programme when you work with us. b) Strengths-based Action Plan for Health and Success – STRAP. A personalised plan to be healthy, fulfilled and successful. a) Leadership Presence in Action: mastering the cutting edge leadership skills for impact, performance and growth. b) The Human-Centred Organisation and You: governance, culture, innovation and the way forward. a) Being Your Best Self: find your voice, say what you mean, be heard. Feel comfortable in your own skin and exhibit grace under pressure. d) Mental Health Awareness: be informed and confident, say no to stigma and feel comfortable offering support where needed. First we talk, and discover what your organisation and people need. Then we craft a programme that delivers what you want in the most economic and sustainably impactful way. Senior leadership involvement is a fundamental prerequisite. In a human-centred organisation, everyone matters and everyone is on board. All material is delivered as a four hour workshop except where stated otherwise. Read more about each MMM module here. Read more about the MMM Foundation course here. Read more about Dr. B's Mental Health at Work series here.